Sci-Fleet Toyota | Brisbane North | Sci-Fleet Toyota is the largest volume Fleet dealer in Australia. 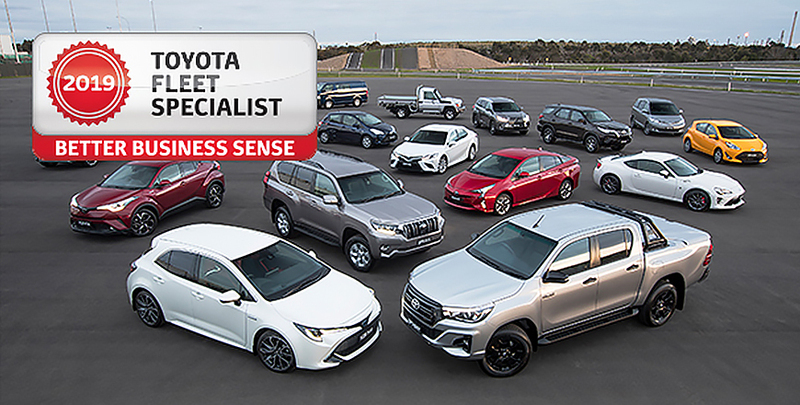 Sci-Fleet Toyota is the largest volume Fleet dealer in Australia. With a specialised Fleet Department, Sci-Fleet Toyota can provide sound solutions to all your business vehicle needs. We offer the full range of ‘Toyota’ products including passenger vehicles, commercial vehicles, trucks and buses. Our Fleet & Government Sales Department offers a ‘one stop shop’ for all your fleet requirements. Backed by 12 experienced fleet staff, our team will be able to assist you with your enquiries regarding Government purchases, Fleet pricing (regardless of how big or small) as well as all Financial Services. To drive your business further contact one of our fleet specialists today on (07) 3862 0999 or simply click the button below and fill out the enquiry form. Terms and conditions apply. Please contact our Fleet department for more information. At Sci-Fleet Motors we aim to deliver the highest level of customer service possible. Our trained staff will assist you in getting exactly what you want at the most competitive price available. Pricing requests are completed by our qualified fleet staff members and can be made available on-site or via email. A dedicated Account Manager is allocated to all of our fleet clients. Our Account Managers role is to service our clients and ensure that pricing, vehicle availability and any general product enquiries are attended to without delay. Toyota Service Advantage can make the cost of ownership of a new Toyota a lot less than other cars. For Government, Rental and Fleet-Not-For-Profit who are ineligible for Toyota Service Advantage, we offer Toyota Pre-Paid Service. This helps you stay on top of your servicing costs and manage your outgoings. All of which means you’re in safe hands with Toyota Genuine Service. We offer comprehensive Fleet plans and discount structures to suit any size fleet. From sole traders and small businesses, to corporate and government fleet managers, we can tailor a solution to fit your needs and budget. Perfect for the small to medium-sized business, Bronze is designed to offer all the services you require for a fleet of fewer than 5 vehicles. Silver is designed to service companies with a mid-sized fleet of up to 49 vehicles. To qualify for Silver you will have a minimum commitment to purchase 2 or more vehicles per year. For those companies with a large fleet of 50 or more vehicles, Gold is designed to offer a premium service to assist in the overall management and efficiency of your fleet – ensuring maximum returns for your business. This includes your company's own designated Fleet Representative who is on call to address any fleet issues you may have. Minimum commitment to purchase 15 or more vehicles per year.